Looking to do something in Vancouver? Kendo is a great way to train your mind and body with Renbu Dojo. Who are our members? From Burnaby, Coquitlam, Surrey, Vancouver – kendo enthusiasts all around! At Renbu Dojo, we have members as young as 5 years old to those that are in their 60+ still actively practicing. Although the Renbu Dojo practice locations are located in Burnaby, we have Coquitlam and Surrey members and Vancouver kendo members. Renbu Dojo welcomes students from abroad, who would like to experience Vancouver – kendo practice in Burnaby. 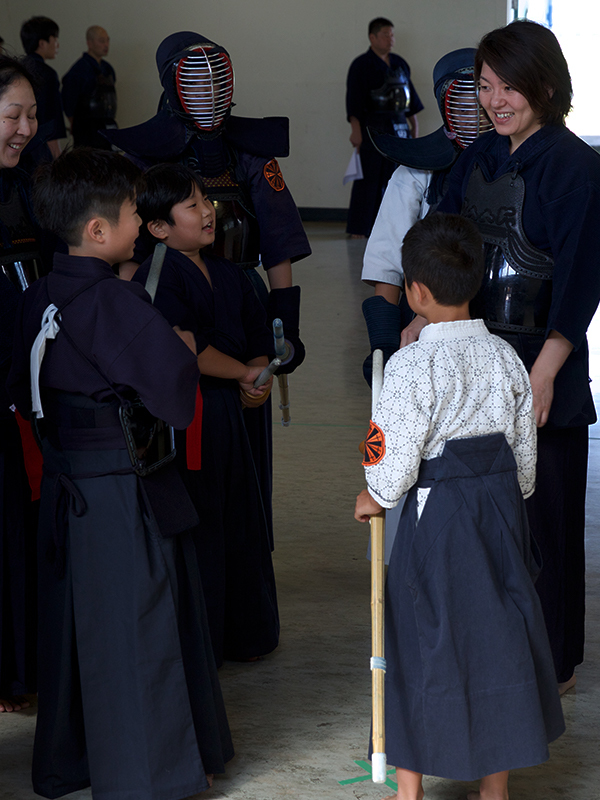 It is a great way for visitors to Vancouver learn kendo, meet new friends and experience the Vancouver kendo culture. If you are interested in starting, there are only two things required. A shinai (bamboo sword – can be purchased through our Dojo) and gym attire (Sweats, t-shirt, etc.) You will not require a uniform (hakama and kendogi) and bogu (armor) until the instructor gives you the approval. What you can expect from being in Vancouver and kendo with Renbu Dojo. Class begins with souji (cleaning the floor). We clean the floor with towels to remove any debris that may cause injuries and also and to prepare our body and mind for learning. The gymnasium (also referred to as the dojo) is our training space and should be treated with respect. After souji class will begin with group warm-up exercises. Warm-up is important as proper stretching can help avoid injury. After warm-ups, the class will be divided between beginners and the more experienced kenshi. One of the instructors will take the beginner’s group for basic fundamental training. Fundamental training includes: kamae (kendo stance), footwork, how to hold/grip the shinai and basic swings with the shinai. These basics are vitally important to building a strong foundation of kendo skills. Beginners should expect a lot of repetition but it is very important to understand the foundation of kendo in order to avoid developing bad habits. Beginners can expect to stay in this stage for about 2 to 4 months. The progress for advancement depends on the individual’s ability to grasp the fundamentals. Since class meets only 3 times a week, students are expected to practice on their own and attend classes regularly so the instructors can properly guide them. Dean Ara (National Team Head Coach), Daisaku Taguchi (Assistant Coach) and Eiji Kita (National Team Player) were among a Team Canada contingent that went to Oita, Japan for a training camp. We look forward to having you join Renbu Dojo and enjoying a lifetime of studying the martial art of kendo together. We also have many social events planned throughout the year including kendo camps, group demonstrations at the Burnaby Nikkei Center and many social events.